With the ever increasing cost of construction materials, the wise DIY builder should whenever appropriate, try and purchase them second-hand. In fact, a surprising variety of materials can be obtained without ever entering a builder’s merchant, hardware or DIY shop. These range from basic constructional essentials, like bricks, timber and roof tiles, to indoor materials, such as flooring, doors, staircase timbers, fireplaces and decorative accessories. 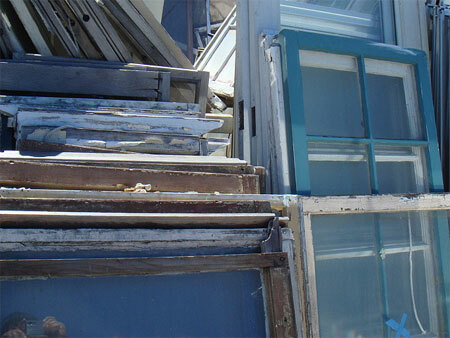 Some reclaimed materials are much cheaper than their new counterparts; however, others will be a little pricier. Aside from the knowledge that by using reclaimed materials, you are recycling them and in the process doing your bit for the environment, probably the main attraction of using reclaimed items helps to preserve the appearance and character when doing renovations on older homes. There is, of course, nothing new in the use of old materials; small tradesmen and builders have always looked out for sound old bricks, timbers doors and window frames that can be used again. But in recent years, the process has intensified and more care is now taken to retrieve specialised items, largely because of their increasingly high resale value. The recycling chain starts with the demolition contractors. Whenever they put in a quotation for a job, they offer a discount for the “credit” value of the materials. This means that they have a vested interest in disposing of anything that they can take out of the building in question. The demolition contractors have a well developed network through which most of their salvage is disposed. 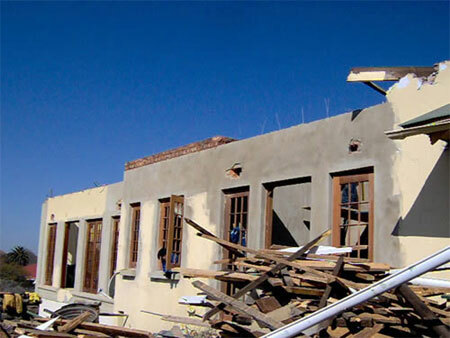 You should have no difficulty in obtaining weatherproof materials from demolition contractors: bricks, slates, roof tiles, rolled steel joists and heavy timbers are always likely to be readily available. 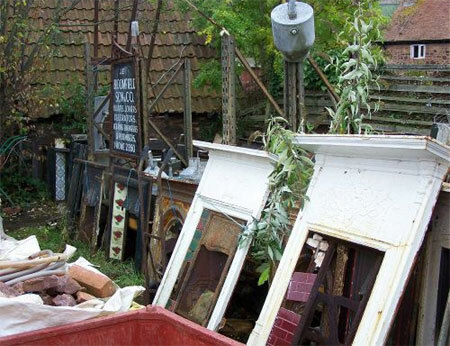 For more specialised items, you should visit an architectural salvage dealer. These establishments take supplies of doors, timbers of all kinds, flooring, iron railings, and a whole host of objects, which begin to overlap with the stocks of antique dealers. These might include fireplaces, chimney pots, decorative ironware and antique tiles. Of course, the most valuable items end up with antique dealers. Roofing materials: Slate and old clay tiles are extremely expensive to buy new, and difficult to match up to older roofs, as such they are always in demand. Conversely, modern cement-based tiles are not often kept, as they are comparatively inexpensive to purchase new. When buying old slate tiles, be warned that slate tiles have been made in a bewildering variety of sizes and you must carefully check that a prospective purchase matches your existing slate tiles. 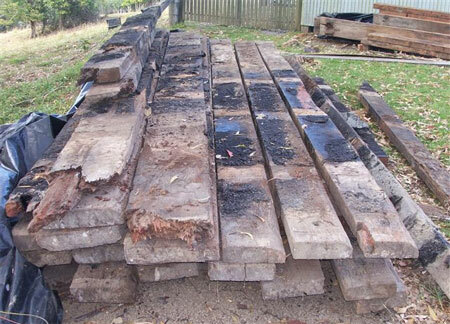 Construction timber: Heavy timbers for roofing and joists are widely available – they often have the supreme advantage of being well seasoned, which means they will not crack, warp or contract after installation. At all costs, avoid timber that shows any signs of attack by damp, rot or wood-boring beetles or termites. Flooring wood: Floorboards and parquet floor tiles make excellent second-hand buys. Reclaimed floorboards are particularly suitable in cases where you are repairing a floor. Do not worry too much about superficial damage because you can sand the floors and parquet tiles down and refinish them, so they look good as new. But do check that they are not too thin to sand further. Other woods: You can reclaim a wide range of wooden items for interior purposes – these include wooden banisters, stair rail support spindles, doors and doorframes, moulded wood fireplace surrounds, window frames, and much more. These items vary immensely in price and condition, and if they have been cleaned up and repaired, their price will reflect this. Fireplaces: Fine, ornate fire surrounds in wood, marble and cast iron are popular items, as are antique stoves. Period inserts, such as grates and fire baskets, area also available, but are usually not sold separately. Stained glass: Many homes have attractive windows of stained glass, which are sadly dilapidated through breakage and bowing. Often, the problem is simply caused by the drying out of the thin sliver of putty that sits between the lips of the lead surround.